I’ll keep this one short because it was just a quick visit for lunch! Snag Stand is a hot dog joint open in Sydney Westfield, I remember it being there for quite a while but never got around to visiting it until recently. I went for a quick lunch and heard from a few of Mr C’s friends that the hot dogs here were really good. Snag stand is basically one of the food court booths on ‘Food on Five’ where Din Tai Fung is also located, they have a big menu with over 10 different types of hot dogs with themes from Spain, Germany and the US. 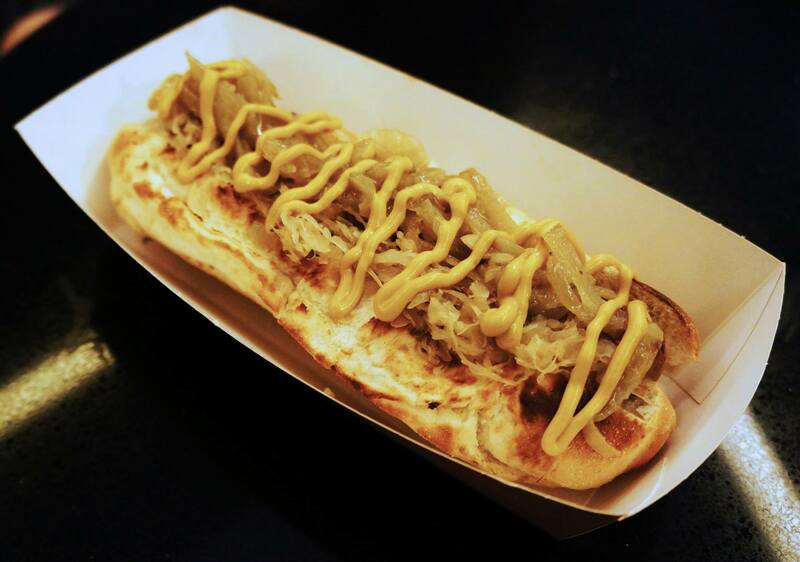 I decided to go with the Das Bratwurst (above) hot dog which is the German inspired hot dog, the ingredients were German Bratwurst, sauerkraut, onions and German mustard on a rustic roll. As soon as I spotted the dipping sauces I saw that they had truffle aioli and that was my choice straight away. The chips were actually very crisp and perfectly fried the way I like them, I think they may be one of the best chips I’ve had in a while. The truffle aioli that came as the dip made it perfect as a side with a strong truffle flavour and creamy mayo texture which was so delicious with the chips! their chilli cheese fries are worth trying and i have to say the wagyu beef is my favourite snag! 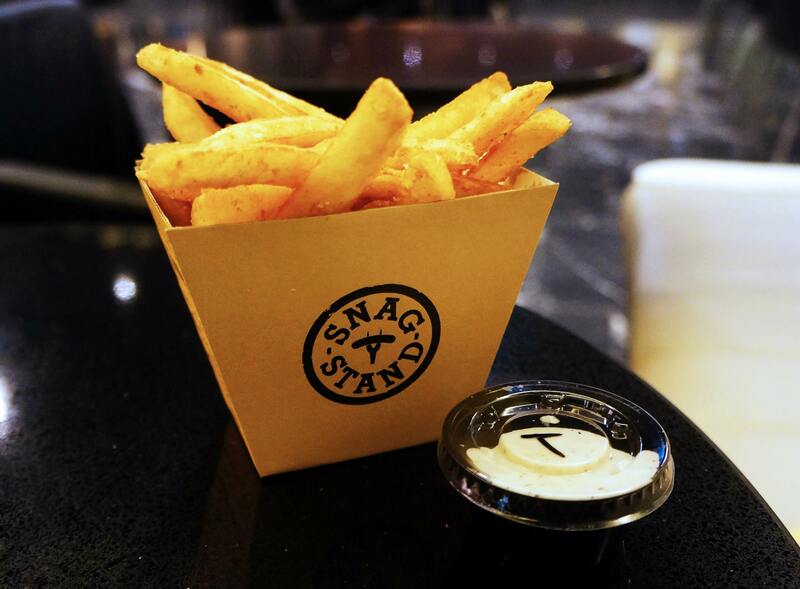 i love the chips at snag stand, so good!